Spaniard earns third victory of the season at the Red Bull Ring. 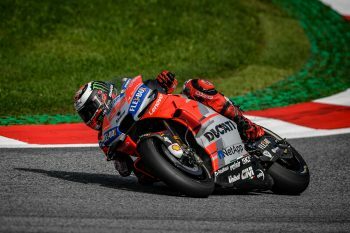 Jorge Lorenzo says his tyre strategy was key in being able to push for victory in the dying stages at Sunday’s 11th round of the MotoGP World Championship in Austria. 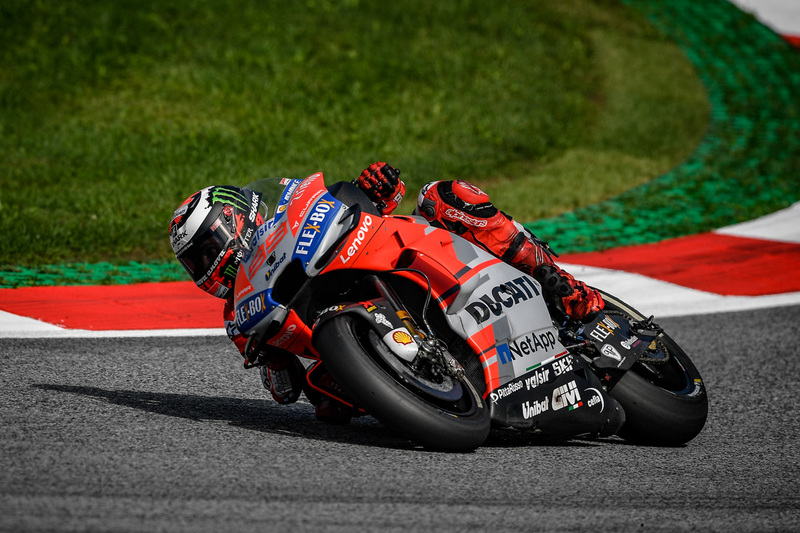 The Ducati Team rider elected for Michelin’s soft option both front and rear, and consciously managed the degradation throughout the 28-lap encounter, ultimately granting him the pace needed to overcome Marc Marquez (Repsol Honda) on the penultimate lap in yet another MotoGP thriller. “It was an incredible race, maybe one of the best of my career – quite simply spectacular!” Lorenzo expressed. “Winning with Ducati on this circuit, where I had never won before, after a close quarters battle with Marquez, has a really special taste. “Before the race I had thought about which strategy to use, and I decided to do like Brno, administering the tyre wear well and then attacking in the final part of the race, especially because I was one of the few riders who had chosen ‘soft’ tyres and my riding style allowed me to conserve them until the end. Lornezo’s third win of the season has promoted him to third in the championship standings, 12 points behind his former teammate Valentino Rossi (Movistar Yamaha).